5 Chest Workouts For Mass - A Beginner's Guide! Learn how beginners can build a massive chest! This guide discusses the chest, its function and recommended exercises. Try these 5 great chest workout programs for size! I can't promise you will ever have the chest of the great Arnold Schwarzenegger, but I can promise that you can make a difference to your chest and put some great size on it if you are willing to just hear me out. In the article below, I will discuss the anatomy of the chest, its function and location in the body, and some exercises for each area of the chest. Finally, and what you have been waiting for, I will include five of my favorite workout programs to help turn your flat chest into massive slabs of muscle! The chest is made up of two muscles that work together to make the chest function. The muscle are the pectoralis major and pectoralis minor. Basically, the pectoralis minor is located directly underneath the pectoralis major. Overall, these chest muscles start at the clavicle and insert at the sternum and the armpit area (humerous). Though the chest is made up of one single mass of muscle, it should be trained like it was broken into 3 parts. The upper, middle and lower portions of the chest are stimulated best from changing the angle in which you execute the exercise. The upper chest is best stimulated from exercises done on a 30-45% incline bench. For example incline barbell and dumbbell bench press or incline dumbbell flyes are great upper chest exercises. The middle chest is best stimulated from exercises done on a flat bench. For example: flat barbell and dumbbell bench press or flat dumbbell flyes are great middle chest exercises. 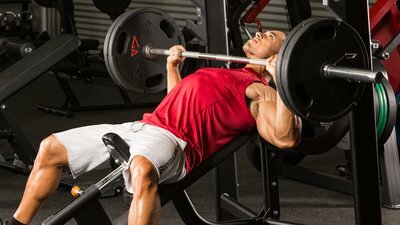 The lower chest is best stimulated from exercises done on a 30-45% decline bench. For example: decline barbell and dumbbell bench press or decline dumbbell flyes are great lower chest exercises. I find all areas of the chest respond best in the beginning to low (4-6) or moderate (8-12) rep ranges. Rarely, I will include higher rep ranges for beginners. I believe the heavier weight helps build a more solid foundation that beginners need. I also find that free weights should be your entire focus in the beginning, especially if chest is a weak point for you. The free weights just develop the chest a lot better than machines do, in my opinion. Now that you understand about what muscles make up your chest, their function, location and the rep range needed to stimulate them, let's give you some workouts to help you build your chest. All exercises should be performed in perfect form because bad form or habits that you start now will follow you and will lead to lack of progress, or worse, future injury down the road. Many if not all the exercises will be new to you. So make sure you use the Exercise Guide on Bodybuilding.com to help with your form. Just getting started? 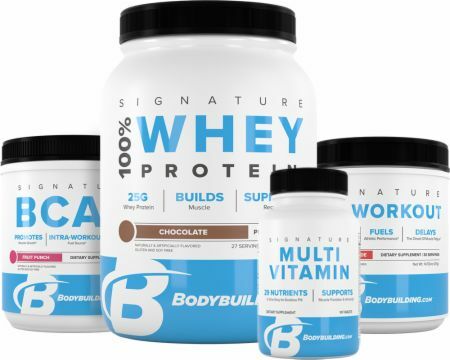 Kickstart your fit life with these hand-picked supplements! I use these five workouts to help bring up my chest. This has been a weak point for me because of a shoulder surgery back in 2005. I am using more weight now than when I started, but basic free weight workouts are the best for putting on the dense, thick muscle mass that you have always been searching for! I want you to pick one of the workouts above and use it for 4-6 weeks trying to increase the weight each workout (while still using perfect form), then rotate to a different chest workout and repeat the process. Now comes the fun part, "It's Chest Building Time." You have your knowledge, and your workouts are laid out for you, so ... "JUST GO LIFT." Good Luck! And as always, if you have any questions, don't hesitate to drop me a message on my BodySpace profile.